Winter is settled in and while the days are short, my workdays are long, which means I'm too mentally and physically tired to cook up a creative meal when I get home from work. 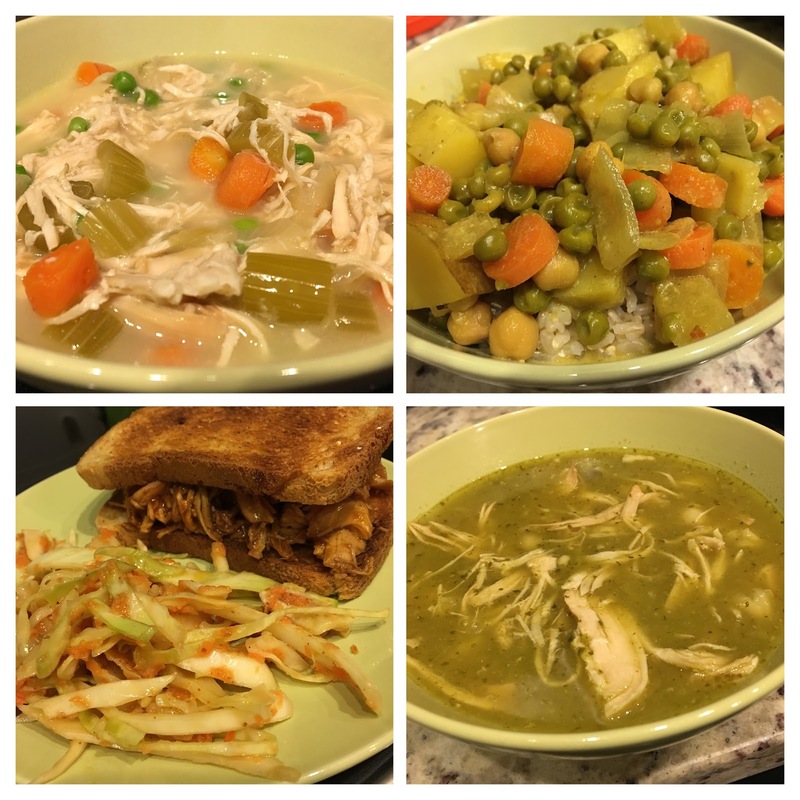 During times like this my slow cooker has become my best friend, as it patiently cooks a comforting meal over several hours, which is such a wonderful thing to come home to when I'm cold and hungry! Slow cooker meals are quite conducive to special diets, as it's easy to choose real ingredients and customize according to restrictions and preferences. I am not in the business of creating recipes (restaurant and product reviews are more my beat), so I turn to other blogs and websites for inspiration in the kitchen. This post is a round of recipes I have come to love for their simplicity, and ability to deliver for simple weeknights or weekend gatherings with friends. Chicken Pot Pie is one of the top things I miss since going gluten-free. Growing up, it was a staple comfort food, and I am just not adventurous enough (or have the time and patience) to make a double-crusted pie from scratch. 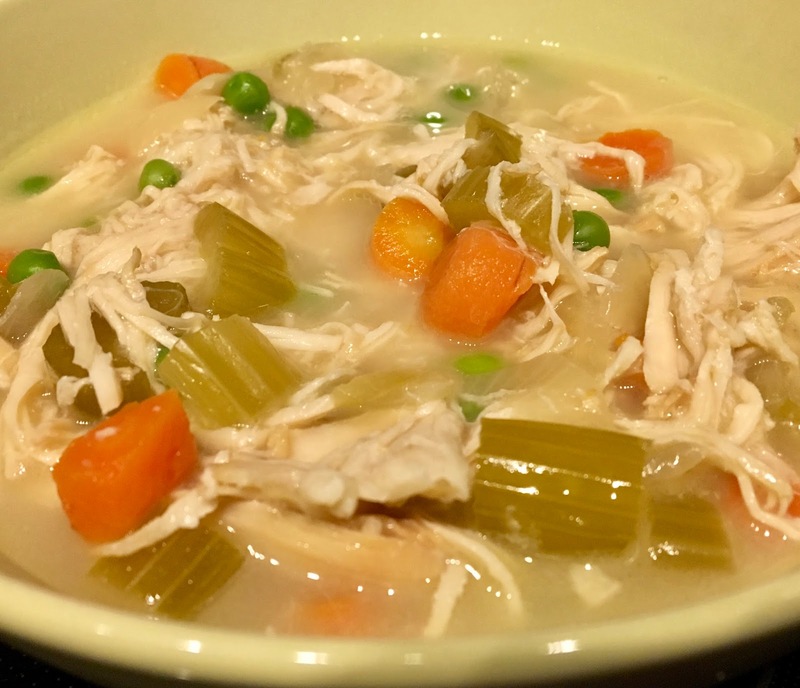 Luckily, this soup scratches the itch with its creaminess, shredded chicken, and abundance of peas, carrots, and celery. It's hassle-free, and renders a soup I don't mind packing in my lunchbox as leftovers for several days straight! For meatless meals, lentils are always a good choice, because they don't require soaking (like dried beans) and are super affordable. This recipe is one I turn to often because I usually have the ingredients on hand, and it freezes well. 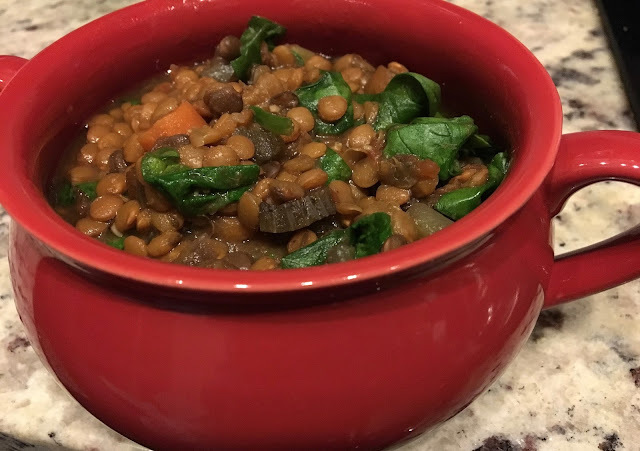 I like the heartiness of the finished soup, and that it's packed with spinach and carrots to make fitting more veggies into my day super easy. I recommend sweet potato waffle fries as a good pairing for this soup! This recipe cheats a little, because it's not exactly "set-and-forget." 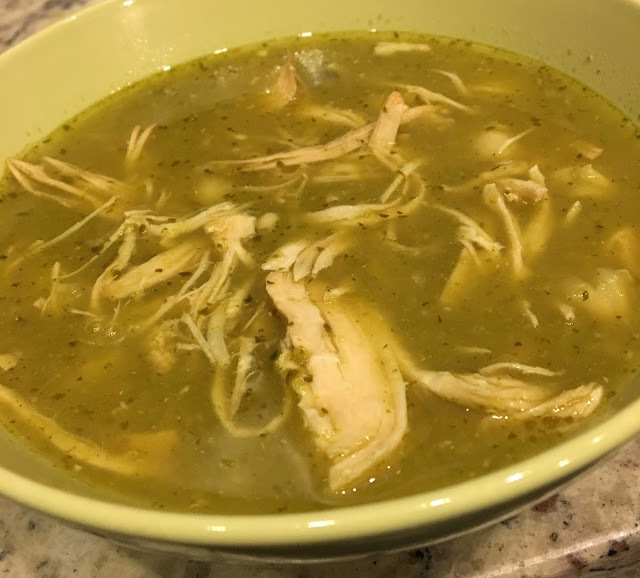 As a part of preparing this flavorful posole, the recipe calls for boiling tomatillos and jalapeño and poblano peppers to create a homemade salsa verde. While this adds to the pre-slow cooker prep, it's simple enough and the effect delivers bang for the buck. This knockout soup is spicy and I love the shredded chicken and hominy in this incredible broth. I am a huge curry fan, and with no Thai restaurants nearby my new apartment in DC, I turned to the internet to find an easy recipe to satisfy my cold weather craving for this style of food. The curry is on the mild side, and uses peas, carrots, potatoes, and chickpeas to create a colorful medley. This recipe happens to be vegan in addition to gluten-free too! I serve over cauliflower rice or brown rice, and am pretty darn impressed every time I cook this up. When I visited my family over the holiday season last year, a BBQ Christmas Eve dinner was a highlight meal of that trip. I recreated that magic using this recipe, which delivered on its promise of tender pulled chicken. 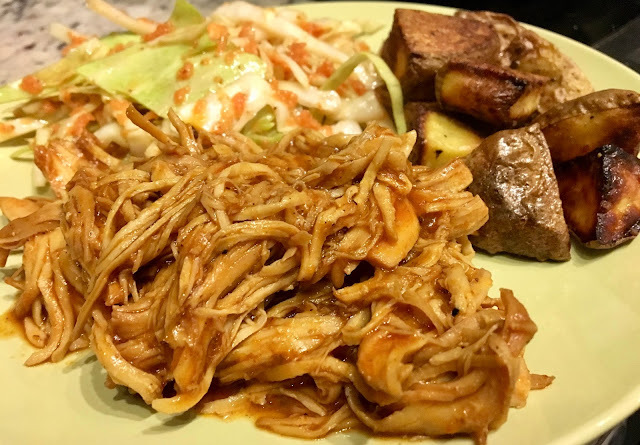 Using Stubb's original BBQ sauce as my base for the marinade, this chicken was endlessly versatile served plate-style with slaw and roasted potatoes or sandwich style on a gluten-free bun (or two toasted sandwich slices in my case since my local supermarket does not carry buns). What are your favorite set-and-forget slow cooker recipes? Share below!